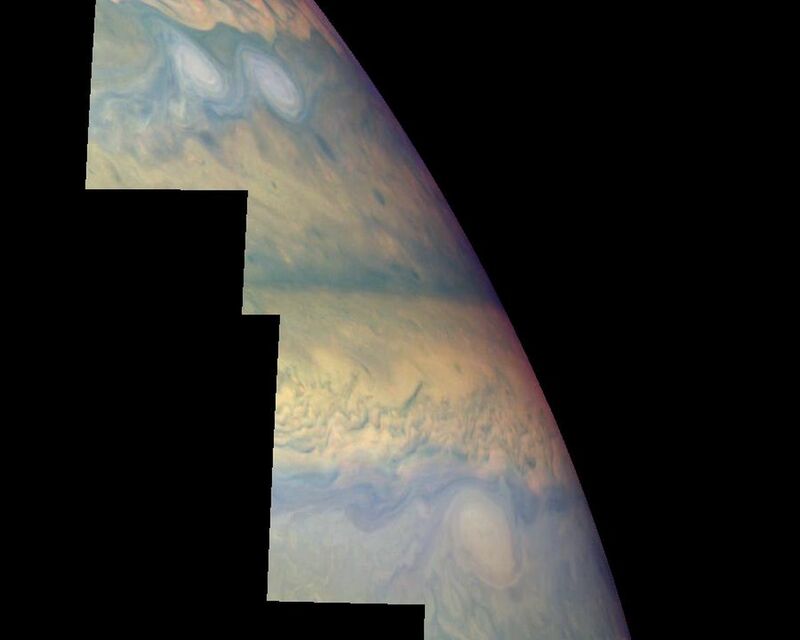 This mosaic uses the Galileo imaging camera's three near-infrared wavelengths (756 nanometers, 727 nanometers, and 889 nanometers displayed in red, green, and blue) to show variations in cloud height and thickness. 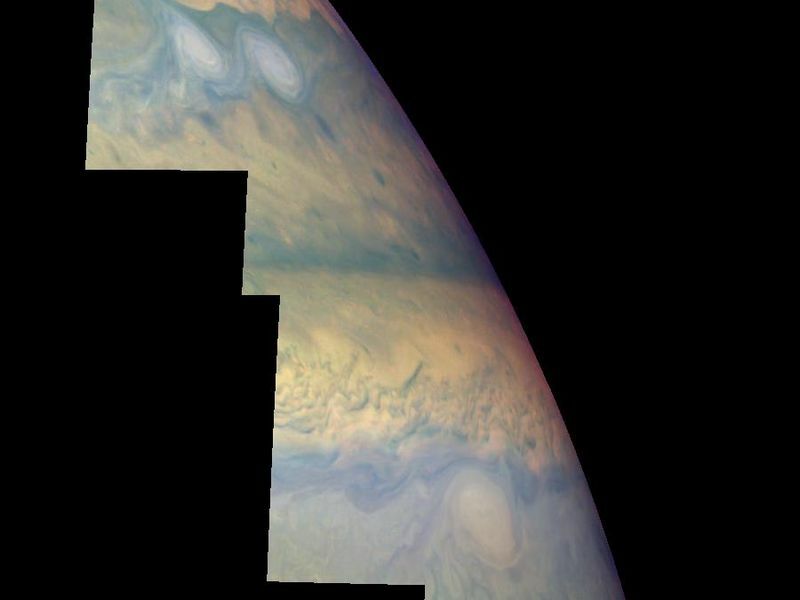 Light blue clouds are high and thin, reddish clouds are deep, and white clouds are high and thick. 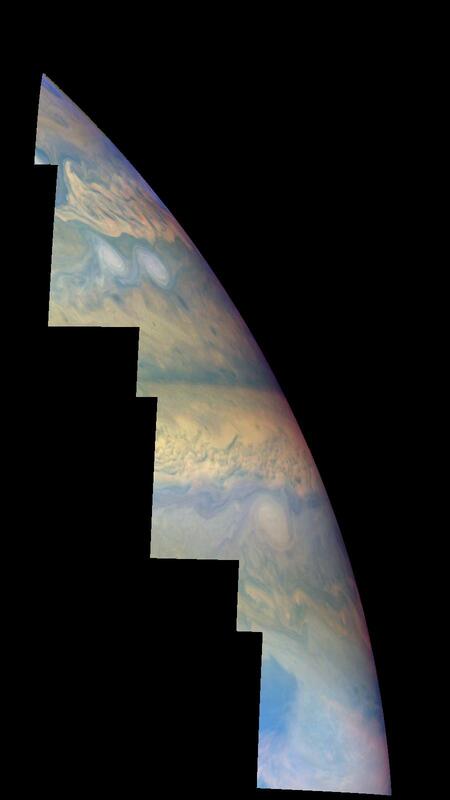 The clouds and haze over the ovals are high, extending into Jupiter's stratosphere. Dark purple most likely represents a high haze overlying a clear deep atmosphere. 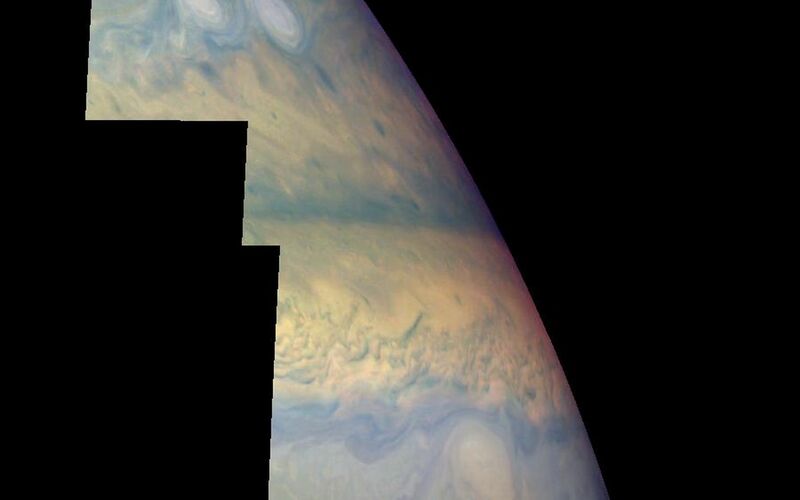 Galileo is the first spacecraft to distinguish cloud layers on Jupiter.